Today in Masonic History Jacob Harold Gallinger is born in 1837. Jacob Harold Gallinger was a Canadian-born American politician. Gallinger was born on March 28th, 1837 in Cornwall, Ontario, Canada. He moved to the United States at a young age. His first job was as a printer before he went on to study medicine at the Cincinnati Eclectic Medical Institute where he graduated from in 1858. After graduation he studied two years abroad before he began his practice in homeopathic medicine and surgery in Concord, New Hampshire. Gallinger was a member of the American Institute of Homeopathy from 1868 until 1880. He was also a member of a variety of other state and national medical societies. Throughout his political career he was a strong advocate of the homeopathic school of thought. He also contributed to various medical journals on the subject of homeopathic medicine. In 1872, Gallinger was elected to the New Hampshire House of Representatives serving just one term. In 1876 he was a member of the state's constitutional convention. In 1878 he was elected to the New Hampshire state Senate where he served until 1880. During his time in the state Senate he served a one year term as the states Surgeon General from 1879 until 1880. In 1885, Gallinger was elected to the United States House of Representatives. There he served two terms from 1885 until 1889. He declined reelection in 1888. After that he returned to the New Hampshire House of Representatives before he was elected by state legislature to the Untied States Senate. 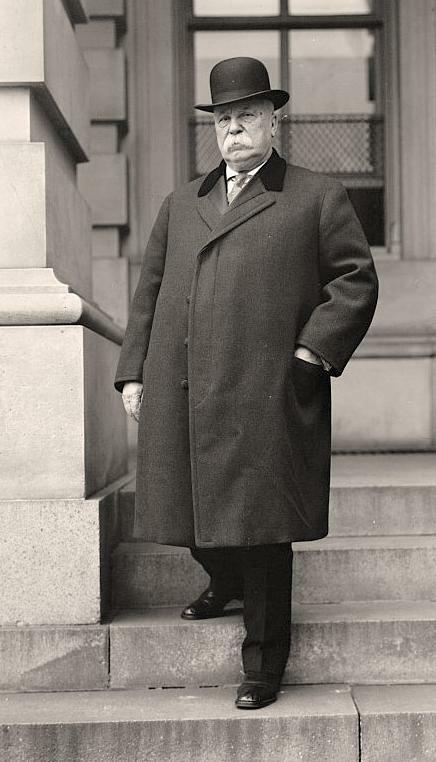 He was elected three more times by the New Hampshire state legislature before the passage of the 17th Amendment which established the popular election of United States Senators in 1913. In 1914 he was elected to a final term by the people of New Hampshire. During his time in the United States Senate, Gallinger served as President Pro Tempore of the Senate during the Sixty-second Congress, which was the same congress that proposed the 17th Amendment. He was also a member of the National Forest Reservation Commission established by the Weeks Act, which he had sponsored in the Senate. Gallinger passed away August 17th, 1918 while he was still serving in the United States Senate. Gallinger was a member of Eureka Lodge No. 70 in Concord, New Hampshire.